Buy Seedling Magazine a Coffee. ko-fi.com/littlegreenseedling - Ko-fi ❤️ Where creators get paid by fans, with a 'Buy Me a Coffee' button. 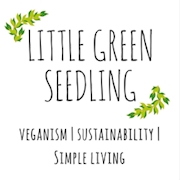 Seedling is a free digital magazine for all things vegan, sustainable and spiritual. We aim to spread love, joy and compassion to all beings everywhere, along with our sister site Little Green Seedling. Our budget is very tight and contributions are so appreciated! They help us pay contributors, advertise on social media, and pay for web hosting. You're helping us change the world. Thank you. Welcome to the Seedling magazine Ko-fi Page! If you enjoy our ezine, please consider supporting what we do. All contributions are truly appreciated, no matter how small. Thank you. Secured Payments. Support goes to Seedling Magazine's account. Upgrade Seedling Magazine to a yearly Gold Membership with a one-time payment.